We said good-bye to Vancouver Island today. I wish we had more time to spend there and hopefully we will be able to return someday. 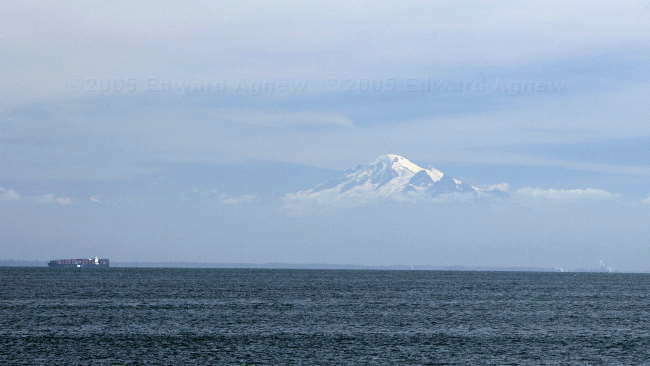 We took the ferry from Shwartz Bay (Victoria) to Tsawwassen (south of Vancouver). 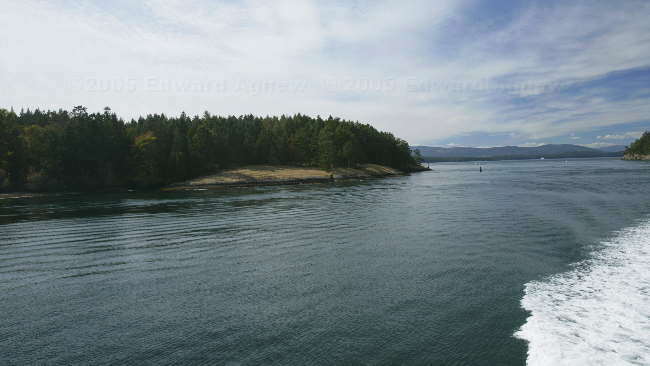 The ferry ride took us through the Gulf Islands — much prettier than the ferry from Horseshoe Bay to Nanaimo. Colin decided that we needed to start visiting hot springs — sounds like a good idea to the rest of us, so we looked for a hot spring between Vancouver and Vernon. While searching through campground information we found Harrison Hot Springs. This is a resort community located on a beautiful little lake amongst some mountains and has several golf courses as well as (of course) the “hot springs”. You can access the hot spring’s water from either at the Hotel/Resort or at the public pool. The “hot spring source” (as indicated on the map) was at least a kilometer out of town and the water is pumped in. Colin and Ed had a look at the public pool and decided that it wasn’t worth the $8.50 charge per person per visit. 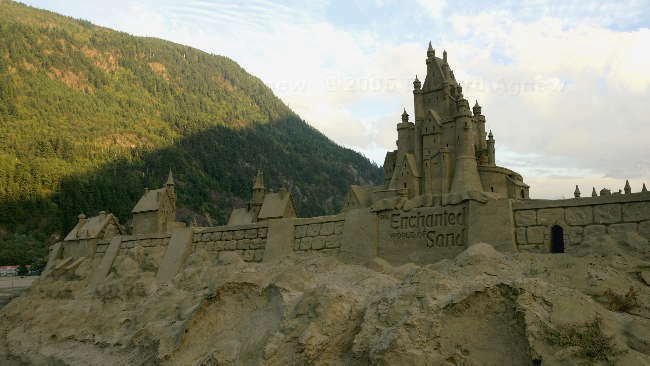 Harrison Hot Springs is also famous for it’s sand sculpture contest and as luck would have it, the sculptures were still up for viewing. It’s amazing what people can do with sand. A lighthouse on one of the islands we passed on the ferry. 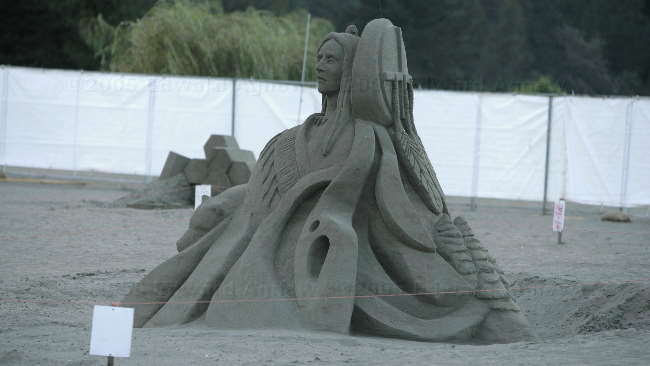 One of the sand sculptures.